Choosing makeup products can be challenging. With so many brands and products available, it can be difficult to know which products are good for your skin and which can cause breakouts, irritation, or dryness. Fortunately, we’ve put together an easy to follow list of products that we as dermatologists recommend. Non-comedogenic products won’t clog pores or cause acne, making them an excellent choice for patients who are prone to breakouts. Hypoallergenic products are formulated to be free of parabens, dyes, fragrances, and other common irritants. These products are ideal for people with sensitive skin. SPF, or sun protection factor, is a number that represents how long the product will protect you from a sunburn. As dermatologists, we recommend using a makeup product with at least SPF 15. Clinically tested products have been tested by dermatologists to confirm their claims are true. 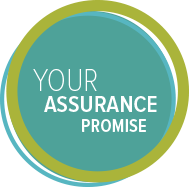 Clinically tested products are products that are proven not to harm your skin. Mineral makeup is made of natural minerals that are ground into small particles. Mineral makeup is generally recommended for sensitive or acne-prone skin as it doesn’t contain preservatives, fragrances, or chemical dyes. It’s important to note that many products won’t meet all five of these criteria. Because of this, we recommend prioritizing them based on your skins’ needs. For example, if you don’t have sensitive skin, it may not be as important for you to look for products that are hypoallergenic. If your skin isn’t prone to developing acne, it may not be as important for your products to be non-comedogenic. Before we recommend products to patients, we talk to them about their skin type. Skin type has a large influence over the types of products we recommend to our patients. Dry skin is skin that has dry, flakey, or itchy patches. Sensitive skin is skin that develops irritation as a result of common ingredients. Oily skin is skin that has overactive oil glands. Combination skin is skin that has a combination of both oily and flakey areas. For more information on the different types of skin, turn to our article, How to Determine Your Skin Type. Jane Iredale BB Cream is a mineral makeup that’s clinically tested to be effective for sensitive skin types. It also includes an SPF of 25. 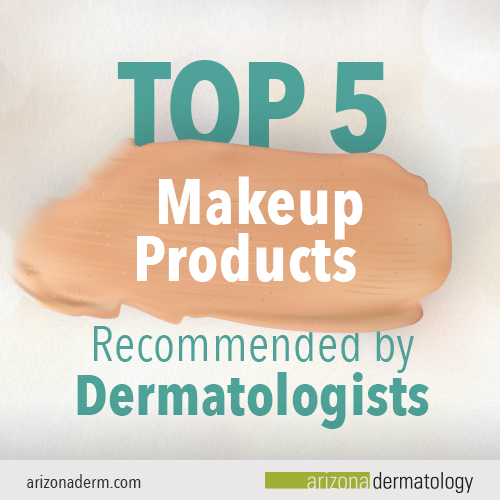 At Arizona Dermatology, this is one of our favorite products. We love this product so much, we sell it at our office locations and frequently recommend it to our patients. The Physicians Formula brand was created 80 years ago by a doctor for his wife, who suffered from sensitive skin. Since then, the brand has been a go-to for anyone who wants great makeup products without compromising the health of their skin. This brand’s Super BB All-in-1 Cream is no exception, and is formulated without irritating ingredients like parabens and added fragrance. Clinique is a brand that uses quality ingredients, making their products perfect for patients of all skin types. Their Even Better Makeup helps improve overall skin tone and diminishes age spots, and has SPF 15 to protect your skin from sun damage. For normal to oily skin types suffering from acne, Neutrogena’s SkinClearing Liquid Makeup provides a natural and even coverage while fighting breakouts with salicylic acid. Salicylic acid is a common skincare ingredient that exfoliates your skin cells, removing dirt and debris that cause acne. Because salicylic acid can be drying, this product is not ideal for patients with dry or overly sensitive skin. Neutrogena’s SkinClearing Liquid Makeup is also formulated to be non-comedogenic, so it won’t clog your pores. If you have sensitive skin or are looking for an added boost of moisture, Almay’s Age Essentials Makeup is a great product for you. With anti-aging benefits such as relaxing the look of lines and smoothing the overall appearance of skin, this product is perfect for creating an even skin tone without the need for heavy application. While the type of product you use is crucial, it’s also important to consider how you’re applying your makeup products. If you use a brush, sponge, or cotton pad to apply your makeup, make sure you sanitize it weekly to prevent the growth of bacteria or mold. Unsanitary makeup tools can cause acne, irritation, and even infection. Also, if you use your fingers to apply your makeup, make sure to wash your hands thoroughly before touching your face. If you have questions about any of our dermatologist-approved makeup products or have other lingering skincare questions, schedule an appointment today. During your appointment, one of our friendly doctors will walk you through everything you need to know about skincare products.